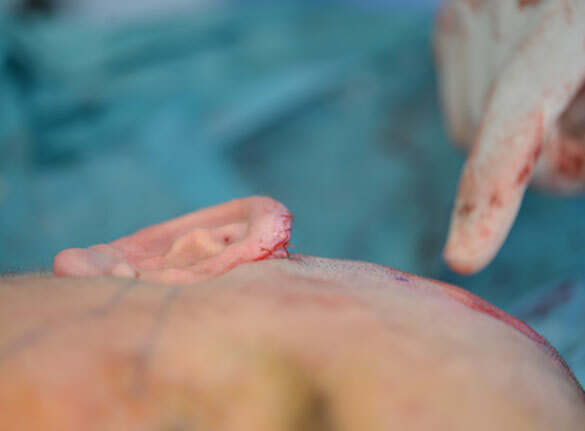 Our preferred method of ear reconstruction is the Firmin technique. must be at least 8 years of age to have sufficient cartilage available. 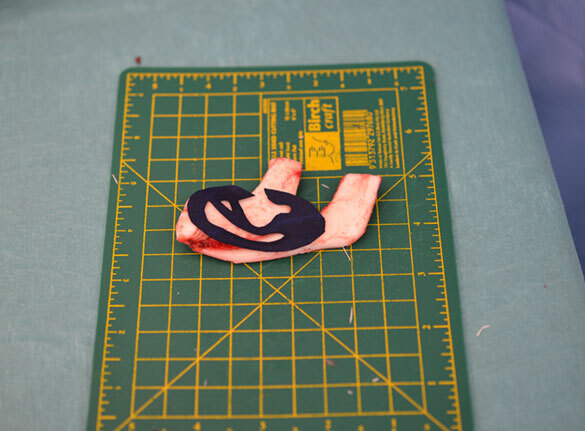 Involves creating a template model of the ear to be reconstructed based on the contralateral ear or a family members ear if bilateral Microtia (photo 1 & 2). 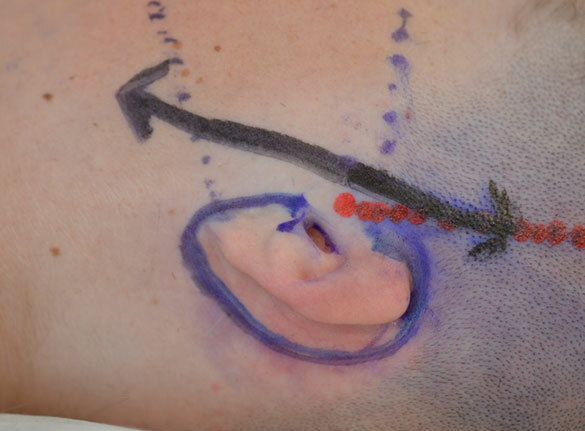 Ink on template and ear template photos description: Intra operative step demonstrating the application of the template to the costal cartilage with the aide of ink. The second stage is performed at least 6 months after the first stage. The aims are to create a post-auricular sulcus and to elevate the framework. Contra-lateral ear pinning is sometimes required for the contra-lateral ear. 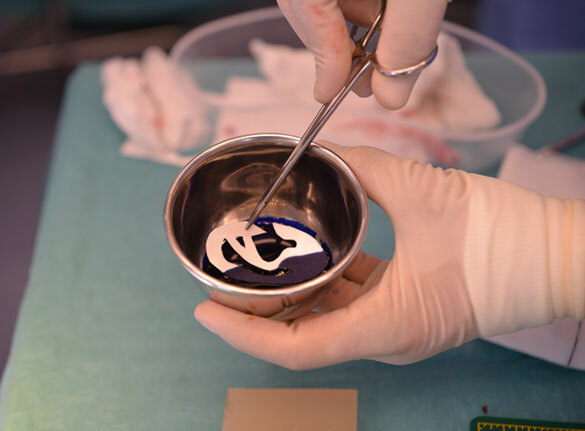 The second stage involves elevating the framework by placing a cartilage piece (banked from first stage) behind the anti-helix deepening the concha and creating a sulcus. 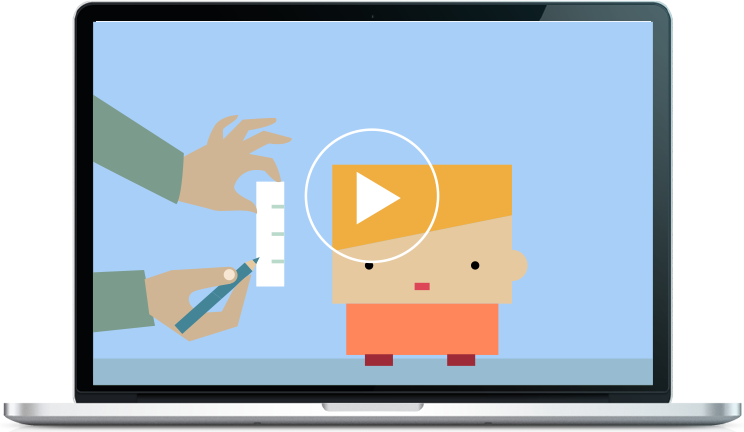 The second stage involves one of the following methods as per Firmin Classfication. At times another third procedure may be required to refine the result. Firmin Type D second stage elevation involving formation of a tunnell beneath the framework and coverage with a scalp skin graft.